A stylish chronograph featuring a sunray dial, “Dauphine” hands and double domed mineral glass. The hand-applied indices give a certain volume and refinement to an extremely well-balanced watch. 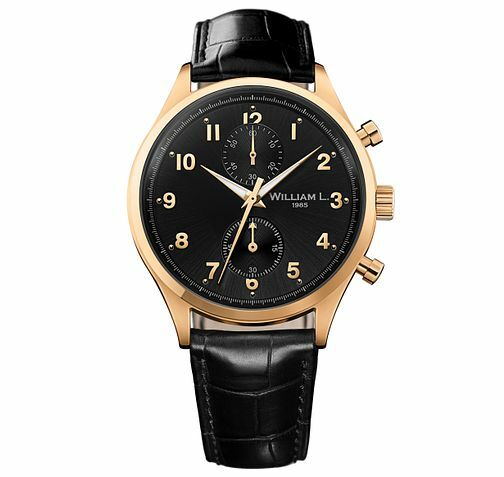 This model is crafted from gold plating with a bold black dial and black leather strap.